INDIE-POP band Men Of Twenty, formerly know as Animal Beats, have just released their new single ‘Down By Your Side’, and will play Monroe's Live on Friday November 20 at 9pm. Originally from Limerick, but now based in Dublin, the quartet - Conor McCarthy (drums/piano ), John McDonnell (guitar ), Daniel Clarke (lead guitar ), and Paul McCarthy (bass ) - featured in the 2012 Hotpress Music show, the Hotpress Jeigermister Freezer Sessions, and the Phil Lynott Expo. 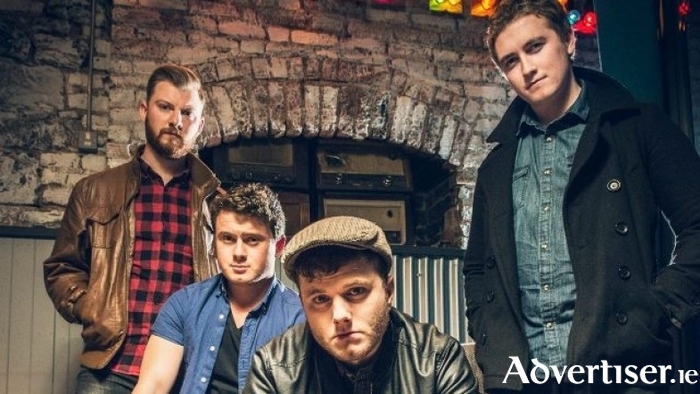 They also featured at Whelan’s Ones To Watch Festival 2014 and have supported Royseven, The Minutes, Heathers, Fred and The Sawdoctors.